What if you can’t run or hide? What do you do when the shooter is right next to you? What do you do when your children can’t escape? What do you do when the shooter breaks through your safe room? For men, women, and teens ages 13 and older. $10 admission. Free with Rutgers ID. Text RSVP to 918-834-6665 to make a reservation. About the Instructor: Eilon Even-Esh received special forces training in the IDF and also served as Captain in the U.S. Marine Corps. 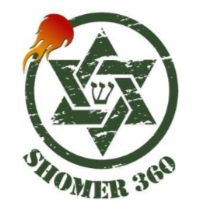 As founder and head instructor of Shomer360, Even-Esh travels throughout the US, teaching seminars in self defense, marksmanship, and institutional security.